Gene R. George & Associates, Inc. (GGA) is a multi-dimensional, Wyoming based natural resource consulting firm that understands the delicate balance between energy resource development and environmental protection. GGA has served as an interface between private companies and administrative agencies in the energy sector for over 40 years. We understand the oil and gas industry in the Rocky Mountain Region, and bring our experience and knowledge of the regulatory process to the table. GGA is expertly staffed to provide unrivaled service to our clientele now and into the future. 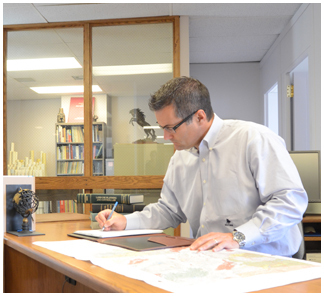 Our professionals bring a wide range of expertise and experience including: Petroleum Engineering, Geology, Hydrology, Water Resource Management, Air Quality Engineering and Permitting, Regulatory and Government Affairs and Property Due Diligence. We maintain an extensive in-house library of resources to keep up with complex and ever-increasing regulatory requirements here. Our experienced staff supplements their in-depth substantive knowledge with valuable agency relationships allowing for efficient navigation of regulatory processes. So whether you are a large multi-national corporation or a small local business, our unique combination of technical and legal expertise allows us to develop your conceptual ideas into fully viable and environmentally sound projects that we can then guide through final regulatory approval.